Supervised by Eberhardt Dino Frey. The spinner dolphin is a small dolphin found in off-shore tropical waters around the world. It is famous for its acrobatic displays in which it spins along its longitudinal axis as it leaps through the air. It is a member of the family Delphinidae of toothed whales. 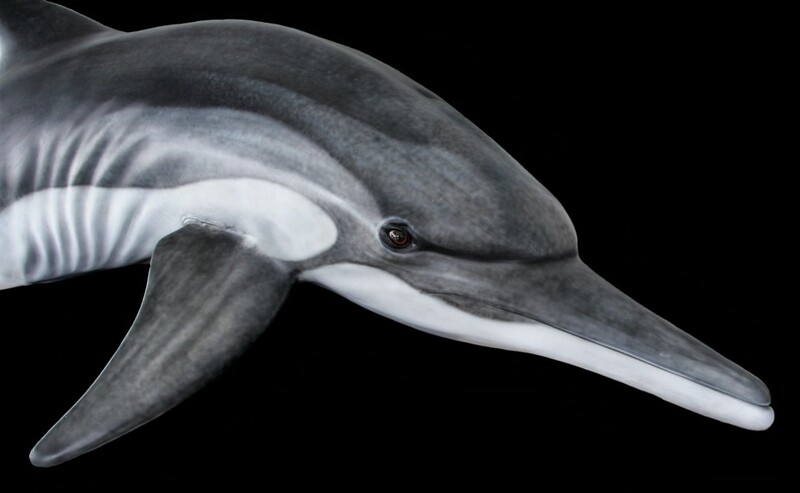 It is also called the long-snouted dolphin, and include 4 supspecies. 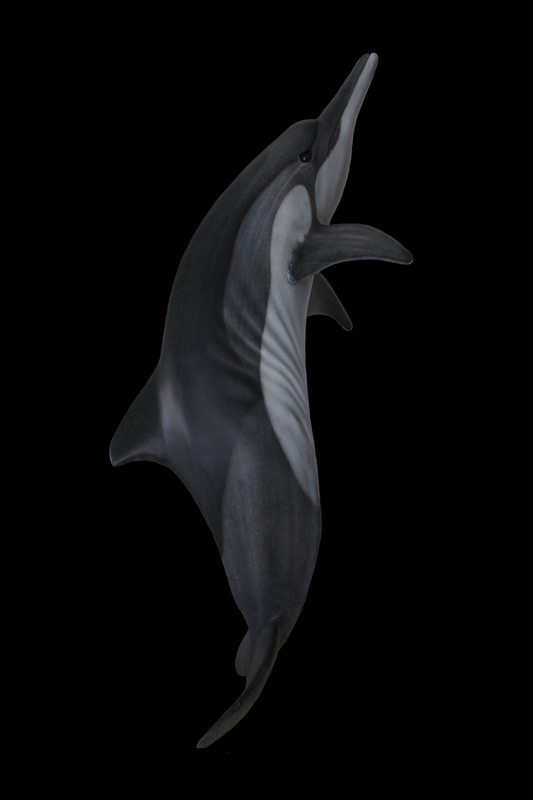 Spinner dolphins generally have tripartite color patterns. The dorsal area is dark gray, the sides light gray, and the underside pale gray or white. Also, a dark band runs from the eye to the flipper, bordered above by a thin, light line. 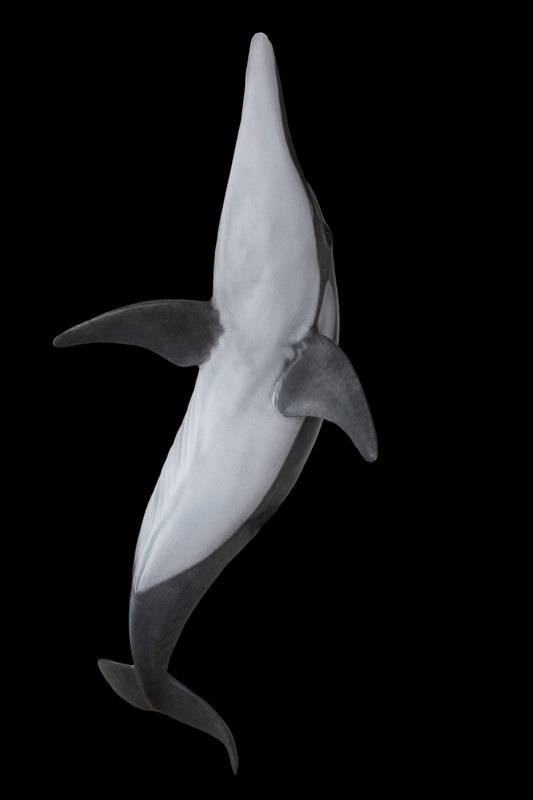 However, the spinner dolphin has more geographic variation in form and coloration than other cetaceans. It feeds mainly on small mesopelagic fish and squids, and will dive 200-300 m to catch them. In certain regions, such as Hawaii and northern Brazil, dolphins spend the daytime resting in shallow bays near deep water At dusk, they travel offshore to feed. They travel along the shore during foraging trips.